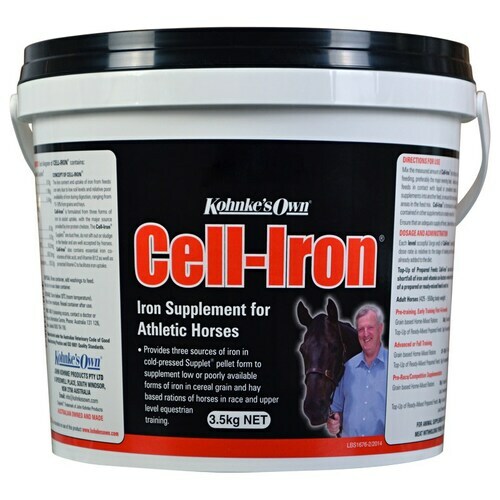 Kohnke's Own is a Iron supplement for horses. It makes up for shortfalls in low or inadequate grain and hay based diets. Feeding Vitamin C and E ? 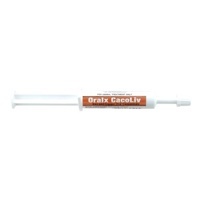 Cell- Iron supplet allow you to feed both vitamin C and E in the same feed because the Cell-Iron palles are spaced throughout the feed and are consumed separately to these sensitive vitamins. 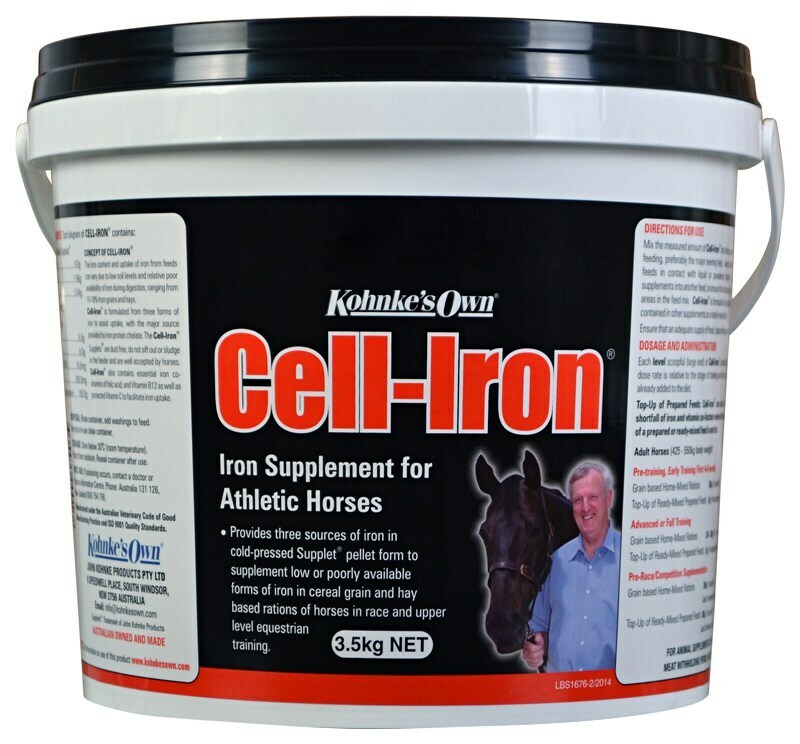 Give 1 sccopful of Cell-Iron on the last 2 evenings before racing and competition to provide supplementary iron. 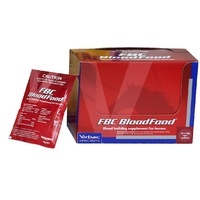 Its more concentrated and cost effective then more satchels of iron powder or most iron liquids bellecause the pellleted formulation avoids sift out, vitamin inter-action and sludging in the feed bin.